Dr. DeFazio currently teaches one course required for all Intervention Specialist, Early Childhood, and Early Childhood Intervention Specialist candidates, ISE 340 (Augmentative/Assistive Technology. She spends the majority of her work time as division chair. She has most recently taught undergraduate level courses that include ISE 347 (Sensory, Motor, Health Interventions, EDUC 206, Individuals with Exceptionalities, ECE 213, Educational Psychology, and EDF 606, Accommodating Learners with Special Needs, a graduate level foundations course. She advises students in the Intervention Specialist Education, Early Childhood Education, and Early Childhood Intervention Specialist Education. She uses the course management system Sakaifor class discussions, resources, and specific web-based assignments. Dr. DeFazio has co-authored three nationally recognized programs (SPA) that have been shared on the NCATE website as model programs. She has attended the NCATE Institutional Orientations during the past three years and AACTE conferences as well. Her earlier scholarship included publications related to cognitive and language development/ interventions for young children with significant disabilities. She has presented/published at various regional, state, national conferences as well as one international conference. Her most recent presentations include participation in panel presentations at The International Congress on Education sponsored by the worldwide Focolare Movement, "The Community as School," in Castelgandolfo, Italy, 2006 (www.focolare.org), presented a session to prepare university educators to write SPA reports for Intervention Specialist Educators using the Council of Exceptional Children (CEC) SPA Standards at the Ohio Council of Teachers in Education Conference in April 2007, and presented a session on differentiated instruction, Meeting the Needs of All Learners at the Ohio Catholic Educators Association Conference in Cincinnati, Ohio, April 2008, using the Division tenets of Judeo-Christian foundations, respect for all diversity, and commitment to service learning. 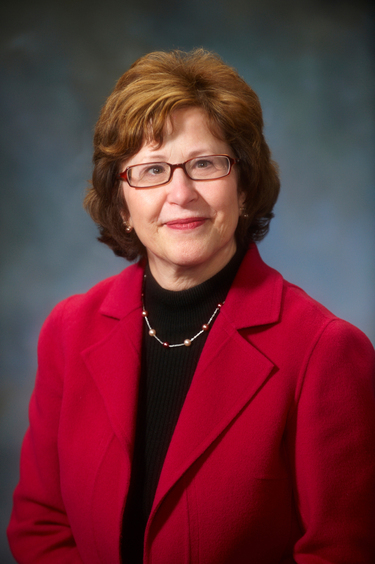 Within the Division of Education, Dr. DeFazio serves as Chair and serves as a member of the ACE (Assessment Caucus in Education) Committee, Budget Committee, and has been involved in various searches. As part of her commitment to university mission, she is co-founder and co-director of the university Theology-Education Hispanic Outreach Initiative which serves P-12 Hispanic children and their families through tutoring and other mission-driven outreach. She has made presentations to local parent and educator meetings in both parochial and public schools and has worked with local agencies on projects related to individuals with exceptionalities and self-advocacy. She works closely with long term service learning partnerships through collaboration with the Division of Theology, local area schools, the Prentke Romich Company (www.prentrom.com), Mayfield Manor Senior Housing Project , Stark MRDD, and the ARC of Stark County. She has facilitated guest speakers and forums on campus for the greater local community andWalshUniversity students and faculty, including the Autism Forum, Disability Forum, and Prentke Romich Company guest speaker David Chapple. Dr. DeFazio has been actively involved in the NCATE assessment process as a member of the ACE committee. Dr. DeFazio is an active member of campus committees including: Leadership Council, Graduate Council and Tenure, Retention, and Promotion Committee. Dr. DeFazio serves as Co-Advisor for the Walsh University Council for Exceptional Children (CEC) Student Chapter. She has been a long standing member of the Governing Board for the Lincoln Way Special Education Regional Resource Center, the ARC of Stark County, and is currently a member of the Sisters of Charity Early Childhood Advisory Board. She has assisted other universities with Council of Exceptional Children (CEC) and other SPA program writing. Bersani, Carol, Susan Conlin, Nancy Benham, and Jean DeFazio. The Ohio Early Childhood Curriculum Guide: Birth Through Age Eight. [Columbus, OH]: Ohio Department of Education, 1991. Bricker, William A., Jean A. Levin (DeFazio) and Patrick R. Macke. "Early Language Development." Atypical Infant Development. Ed. M. Hansen. Baltimore: University Park Press, 1984. DeFazio, Jean, [et. al.] "Assessment and Modification of Cognitive Processes in Handicapped Children." Ongoing Data Collection for Measuring Children's Progress. Ed. K. Stremel-Campbell. [Portland, OR. ]: The Western States Technical Assistance Resource (WESTAR), 1982. Bricker, William A., Patrick R. Macke, Jean A. (DeFazio) Levin, Philippa H. Campbell. "The Modifiability of Intelligent Behavior" The Journal of Special Education 15.2 (1981): 145-163.